Popular culture is all around us, and it does tend to get under our skin. It does influence us. Popular culture surrounds us, shaping our worldviews. We can ignore it, withdraw from it, condemn it, or celebrate it. 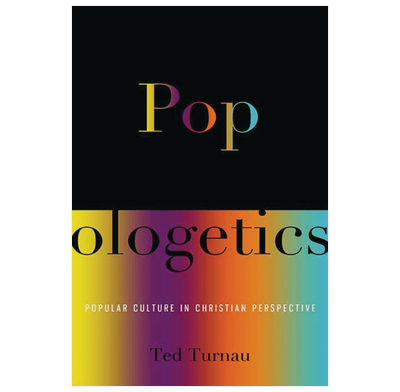 Pop-ologetics helps the reader understand the grace and idolatry woven into popular culture from a biblical perspective, why Christian approaches often fail, and how to engage its worldview challenges. Part I provides a foundation by exploring what popular culture and worldview are - and the relationship between them. It also lays out a brief biblical theology of popular culture. Part II critiques the ways Christians typically approach popular culture, and why those perspectives fall short of a balanced, biblical approach. Part III lays out a positive method (called "pop-ologetics") for engaging the messy mixture of grace and idolatry of popular culture. This method is then put into practice by critiquing five examples of popular culture and how to use this method practically with friends and family. Introduction: "Why Would Anybody Want to Study That?" 3. R.S.V.P. : What Is a Worldview Apologetic? Part 3: Engaging Popular Culture: Why Critique Popular Culture?